PRC Direct is the online division of PRC - established for over 35 years as one of the largest independent electrical retailers in the UK. When you shop with PRC, you can take comfort in the fact that we have many years of experience in the supply and service of electrical goods throughout the UK and are financially secure with thousands of 'satisfied customers'. To offer a wide selection of top brand electrical goods online. To offer customers savings of up to 40% off typical high street prices. To offer the highest levels of customer service and satisfaction. Visit our online superstore, where you can buy the latest top brand electrical products from an authorised dealer at some of the UK's lowest prices. We offer huge savings of up to 40% off typical high street prices and deliver goods direct to your door throughout the UK. We are members of C.I.H. (Combined Independents Holding) Ltd ( Euronics group). With a buying power of over half a billion pounds, this is Europe's largest electrical buying group with a range of exclusive products. This enables us to offer highly competitive prices by passing the savings on to you, the customer. We are members of RETRA (Radio, Electrical & Television Retailers' Association). The UK's largest trade association and regulatory body for electrical retailers. 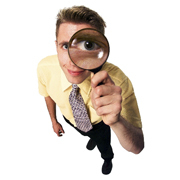 At PRC Direct we are continuously monitoring our prices to keep ahead of our competitors. This takes some time due to prices changing constantly and therefore impractical for us to offer the best price always. However, if you find the same product cheaper, supplied by a UK authorised dealer, brand new, boxed and in stock, then we will try prior to purchase to beat the price by 10% of the difference previous to or at time of purchase. This excludes any grey imports offered by some dealers and applies to the total price of the product offered by competitors including delivery. We carry an extensive range of products ready to be despatched from our warehouse, to anywhere on the UK mainland* and delivery is free on certain products.